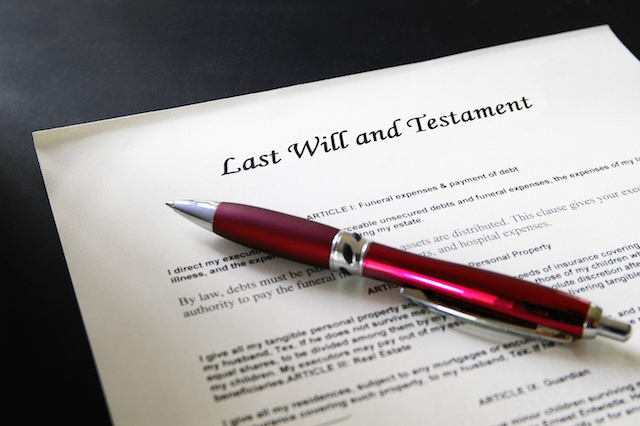 Most people know that a person’s will is the legal document which dictates how that person’s property should be distributed after they die. But a will should only be used in this manner when it is actually valid under state law. When a person’s estate goes to probate, one party may submit a will to the court to be used in distributing the property in the estate, and the court will determine whether the will is valid. That said, the burden of raising arguments as to why a will might be invalid often falls on other parties whose rights are being affected. Here are a few circumstances under which a will could be invalid in California. Did the testator (the person who made the will) have his or her mental faculties in order when the will was made? Was the will witnessed and signed by two witnesses? If not, was the will in the testator’s handwriting? Did the testator sign the will? Did the testator intend for the document to be his or her will? A will that was once valid can be rendered invalid when the testator takes an action which validly revokes the earlier will. Revocation of a will can be done through an express statement or through burning, tearing, canceling, or otherwise destroying an earlier will with the intent of revoking it. Note that revocation of a will is effective even where only one copy of the will is revoked. People often decide to create a second or third will after an original will is made, and, to the extent that the later will conflicts with the earlier will, the later will is effective and the earlier will is invalid. In addition, a person can create a codicil document which does not necessarily revoke an earlier will but can effectively modify it. Determining whether a later will or codicil exists and admitting it to probate is thus crucial for parties benefited by such documents. Where a person creates and/or changes a will due to the undue influence of another party, those particular sections that were the product of undue influence will be made invalid. Undue influence is using coercion or otherwise overpowering the will of another person to get them to change their will, and is often done by using misinformation or preying upon the loneliness and/or limited faculties of an elderly person. This one is self-explanatory, but, if a will was forged either in whole or in part, other parties should step forward to dispute the authenticity of the will and ideally present the correct will to the court. In some other cases, a party can petition a probate court to discount certain portions of a will based on the fact that other aspects of California law override the statements in the will. Common examples of this include where a spouse has been wrongfully omitted from a will, or the will is attempting to give away community property that rightfully belongs to the surviving spouse, or where a child has been omitted from the will. Talk to a probate attorney about further arguments that can be raised in favor of a will contest claim.